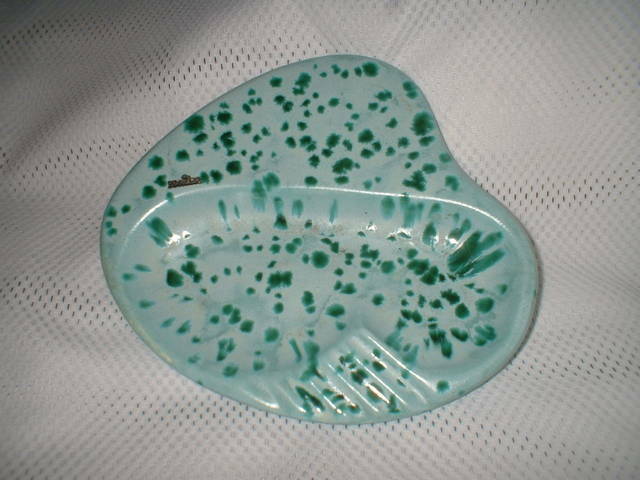 Description: This is an awesome 60s-looking ashtray in light matte green with glossy darker green splashes. The shape is truly Eames Era and the piece is just, well, funky! Apparently, this is a Florida souvenir as there is a tiny (like 3/4") metallic-looking decoration with the word "Florida" (with the "i" being a #1. The piece measures about 10 1/2" by about 9" by about 1 1/4" deep. 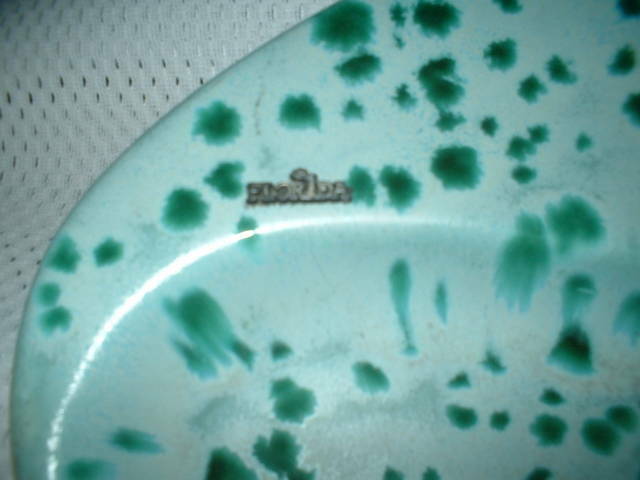 It has a backmark which is an "M" with a heart over it but I've been unable to locate the maker. 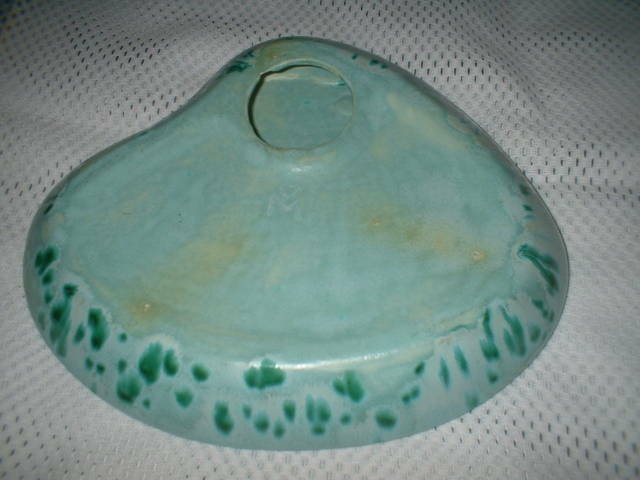 The piece is in excellent condition with no chips, cracks or crazing ~ it does have a couple of flea bites.